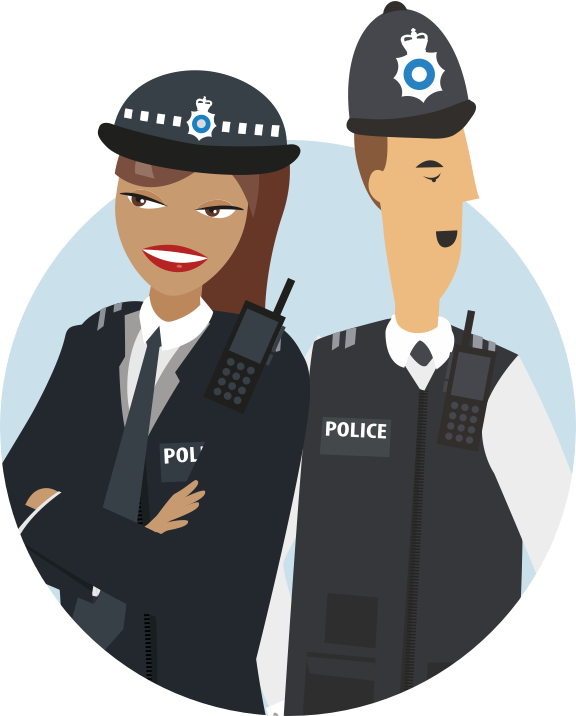 In 2015 the Police Pension Schemes underwent major changes….and the Metfriendly team are here to help you understand them. For full pension information and calculators click the links on the right. You can also find the answers to commonly asked questions below. If you have any further questions or would like clarification on any issues concerning the pension reforms we would be more than happy to help. Please feel free to contact us using our contact form or by email. The new police pension schemes are here. But just what do they mean for officers and staff? We put the questions we thought you’d like answered to the HR team at the Metropolitan Police and here’s what they said. Why did my pension need to change? To decrease the costs of public service pensions a report by Lord Hutton recommended that all public service pension schemes should be replaced by new schemes known as “career average” schemes (CARE), in contrast to current “final salary” schemes. The Home Office subsequently agreed to implement these recommendations. What were the most important changes? The final salary police pension schemes closed on 1 April 2015 and a new police pension scheme was introduced, with future accrual based on the new CARE model. Under the new arrangements, the Normal Pension Age for police officers was increased to age 60, whilst most public service schemes remained linked to higher state pension age. However, there is protection for those officers closest to retirement, who are entitled to remain in their current police pension scheme beyond 2015. This depended on the age and length of service of each officer but those within ten years’ of normal pension age will usually have full protection. On the same day a new Civil Service pension scheme was introduced for staff, although not all members of police staff were transferred to the new scheme. Similar to the police scheme there is protection for some members who are close to normal pension age of the existing schemes. The New Pension Age (NPA) for staff is the State Pension Age (currently 65, but scheduled to increase in stages to age 68). What action did I need to take? You did not need to take any direct action as all changes were implemented automatically. However, we do recommend that you take the time to become fully informed about the changes that have affected your specific circumstances. Were all members of pension schemes affected in the same way? In general full protection applied if you were an officer due to retire before April 2022. All active 2006 scheme members who, as of 1st April 2012, had 10 years or less to their current Normal Pension Age (i.e. age 55) saw no change in when they could retire, nor any decrease in the amount of pension they receive at their current Normal Pension Age. Naturally to achieve this they should remain in their current scheme until they retire. All active 1987 scheme members who, as of 1st April 2012, had 10 years or less to age 55 or had 10 years or less to age 48 and were 10 years or less from being eligible for a maximum unreduced pension, saw no change in when they could retire, nor any change of pension scheme. Again, this was conditional on them remaining within their current scheme until they retire. Tapered protection applies to Officers who were within 4 years of qualifying for transitional protection on 1st April, 2012. A Member who is covered by the tapered protection continued to accrue pensionable service in their current scheme for a limited period after April 2015. This was intended to avoid what would otherwise be a “cliff edge”, where a couple of days’ service would make the difference between full protection and no protection. At the end of any additional period, the Member was transferred to the new scheme. Staff who were 10 years or less from their Normal Pension Age on 1 April 2012 were less likely to move to the new scheme. There was no change to their current pension arrangements and Normal Pension Age remained the same. Unlike officers, police staff had an option – Members who were between 10 and 13.5 years from their Normal Pension Age on 1 April 2012 may have been offered the choice to move straight into the new scheme on 1 April 2015 or stay in their current scheme for a set period. This was called ‘Tapered Enrolment’. Those Members who were more than 13.5 years from Normal Pension Age on 1 April 2012 were likely to move to the new scheme straight away. were more than 10, but less than 13.5 years away from their Normal Pension Age (NPA) in a qualifying scheme on 01 April 2012. Eligible members should have received an ‘Options Pack’ in October 2014, which gave them more details about the decision they needed to make. All other employees who were not protected were transferred into the new scheme on 1 April 2015. What happened if I was a member of the Civil Service Partnership Pension Scheme? Employees who were members of the Partnership Pension Scheme remained in the scheme and were not affected by the changes. What is my new contribution rate? You can find specific details related to your own pension by going to the 2015 Contribution Estimators which can be found at www.civilservicepensionscheme.org.uk. Do I have to work longer to get my pension? In some cases, yes; but officers and staff who have full protection were not affected. For police staff the Normal Pension Age for each scheme is detailed below. You may have a different pension age as a result of a TUPE transfer. classic, classic plus, and premium have a NPA of age 60.
nuvos has a NPA of age 65.
the alpha scheme will have an NPA that is the same as your State Pension age. If you are unsure which scheme you are a member of contact your provider. Staff: Civil Service Pensions – 0300 123 6666. Will my pension be lower when I retire? The calculator for police officers was withdrawn on 1 April 2016. It is no longer relevant as the new scheme came into force in April 2015. What about the pension benefits I’ve accrued so far? You will keep the pension and lump sum you have already earned. Benefits earned through past years of service – ‘accrued rights’ – are protected. This means that your pension for past service was worked out on the same basis as your previous scheme and also kept the same pension age as before. The Government confirmed that, for those in classic, classic plus and premium, the “final salary” link will continue for the years of service earned up to the date of change. The mechanism for protecting accrued rights in the 1987 Police Pension Scheme accurately mirrors the expectation that scheme members may have to have a faster accrual rate with increased service. For those officers who remain in service after the scheme has closed (or, if applicable, after their tapered protection ends), the number of years that they have built up in the closed scheme remains the same – but the accrual rate applied to the years that they have built up gradually increases to reflect what it would have been had the scheme remained open. The maximum accrual rate of 1/45th is reached after 30 years’ total service, reflecting both the maximum benefit that they could have had from the period of double accrual and the time at which scheme members would have reached full entitlement. Why should I remain a member of the pension scheme? Cost-effective: A public service pension is still a very cost-effective way to save for your retirement. Guaranteed: The new schemes still provide a guaranteed level of pension – calculated as a fraction of your salary and uprated each year – not an unknown amount based on investment returns. Employer Contribution: In addition to your own contribution, if you are a scheme member your employer makes a significant contribution towards your pension. Tax Relief: You receive tax relief on your pension contributions. What this actually means is whilst you are in the scheme your pension contribution is not subjected to tax. However if you leave the scheme then the whole of your salary is subjected to at least the basic rate tax! Benefits: Your pension scheme provides valuable benefits for you and your family such as an Ill-Health Pension and payment if you die. With the Ill-Health Pension there is a two tier system that is of great benefit to you. Tier one is if you become permanently disabled for the ordinary duties of a police officer and there are no suitable replacement duties and you have to be medically retired. You will be retired on an immediate pension. Tier two is if you become permanently disabled from any form of employment and are medically retired. You will be entitled to an immediate enhanced pension. If either pension is as the result of disablement due to an injury received, without it being your fault and in the execution of your duty, you will be entitled to an Injury Award which is separate to your pension and under the Police (Injury Benefit) Regulations. Should I take a lump sum from my pension or monthly payments?